«Those who carry the truth sometimes bear a terrible burden... 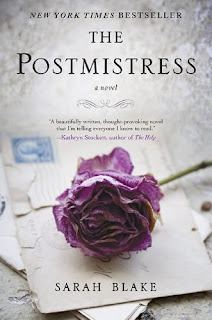 Filled with stunning parallels to today's world, The Postmistress is a sweeping novel about the loss of innocence of two extraordinary women-and of two countries torn apart by war. On the eve of the United States's entrance into World War II in 1940, Iris James, the postmistress of Franklin, a small town on Cape Cod, does the unthinkable: She doesn't deliver a letter. In London, American radio gal Frankie Bard is working with Edward R. Murrow, reporting on the Blitz. One night in a bomb shelter, she meets a doctor from Cape Cod with a letter in his pocket, a letter Frankie vows to deliver when she returns from Germany and France, where she is to record the stories of war refugees desperately trying to escape. The residents of Franklin think the war can't touch them- but as Frankie's radio broadcasts air, some know that the war is indeed coming. And when Frankie arrives at their doorstep, the two stories collide in a way no one could have foreseen.